I love it when I read a book at exactly the right time (for me)! For me, it was exactly the right time to read Lillian Boxfish Takes a Walk, by Kathleen Rooney. 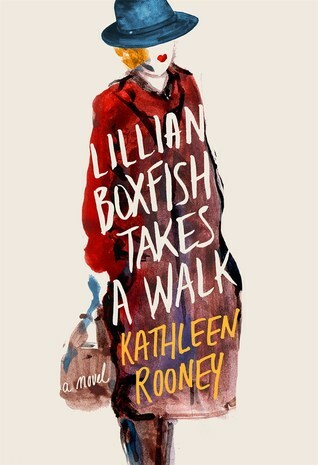 I've been wanting to read it since it first came out, and though I did read the hardback, the paperback has just come out, and Kathleen Rooney will be presenting it, via Surprise Bookshelf series, at the American Writers Museum in Chicago today, at 5:30 p.m.! Wooee! I recently (St. Patrick's Day) visited the American Writers Museum, and it's wonderful. Kathleen Rooney and her husband, Martin Seay, also a novelist, are coming to our town in August to read from their work at the library. I'm sure I will read Martin Seay's book, The Mirror Thief, at exactly the right time (before he comes to town), too! 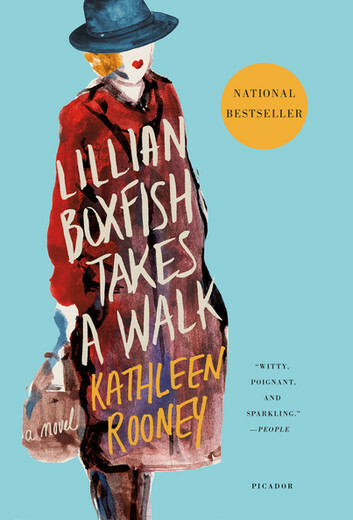 Also, it's National Poetry Month, and Lillian Boxfish is a poet and an ad writer, the highest paid woman in advertising in America! She is based on the real highest-paid woman in advertising of her day, Margaret Fishback, who was powerful and respected and well paid before the era of Mad Men, to give us some perspective. But it was still the era of having to leave work if you got pregnant, as there was no maternity leave and employers did not hold jobs for women who had babies or men who went to war. To give it further perspective. This is an utterly charming book. The end papers of my hardback edition show a map of where Lillian walked. As a child, Lillian was inspired by another career woman, her aunt Sadie, a nurse at St. Vincent's Hospital in New York City in the early 1900s, which is crucial here due to the flu epidemic of 1918. And Edna St. Vincent Millay got her middle name from that hospital/saint! She's a favorite poet of mine. On with poetry month! I just loved that book! Glad it is timely for you. We are definitely going to read it in my book group this summer! And I gave my copy to my mom for the moment!